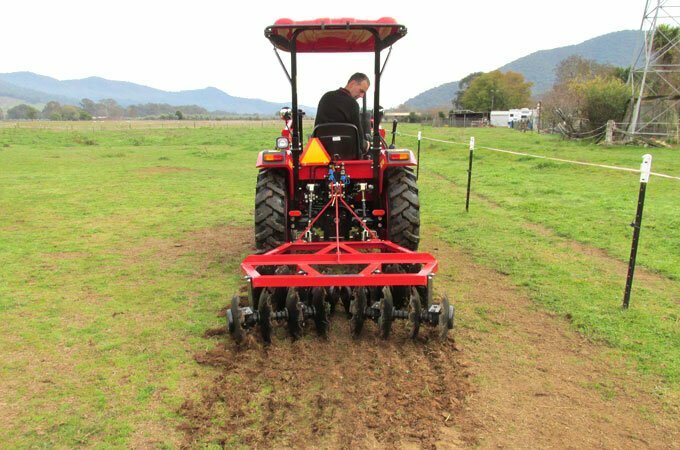 AGMAX disc harrows create an intermediate tilth and can help with paddock levelling as well as fire breaks. 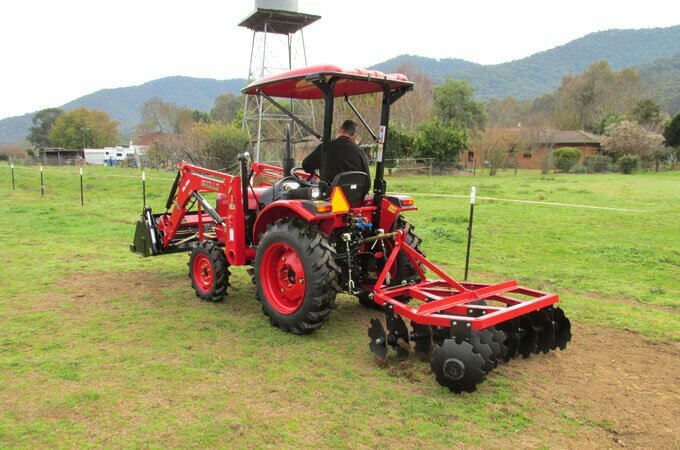 In paddocks with severe weed infestations, disc harrows can assist in an integrated control approach. 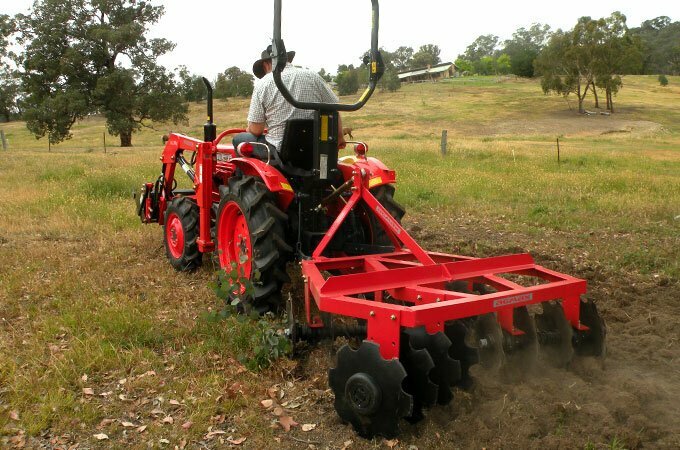 By ploughing in newly emerged weeds prior to flowering, you can exhaust the seed stock in the soil. 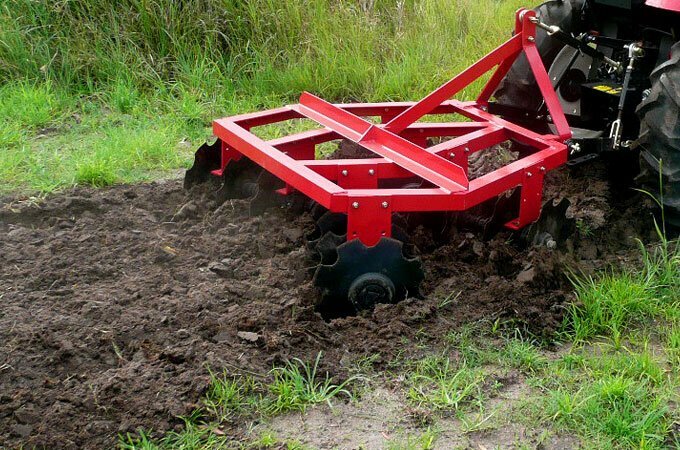 Disc harrows are also used to loosen the soil which allows easier peneration of water into the top soil. 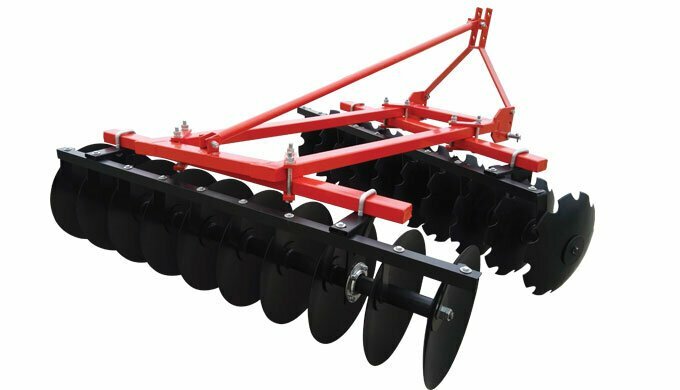 AGMAX disc harrows have solid scalloped discs and a robust frame construction, attaching easily to your tractor’s TPL (three point linkage). APOLLO 254 25hp with AGMAX DH150 disc harrows. 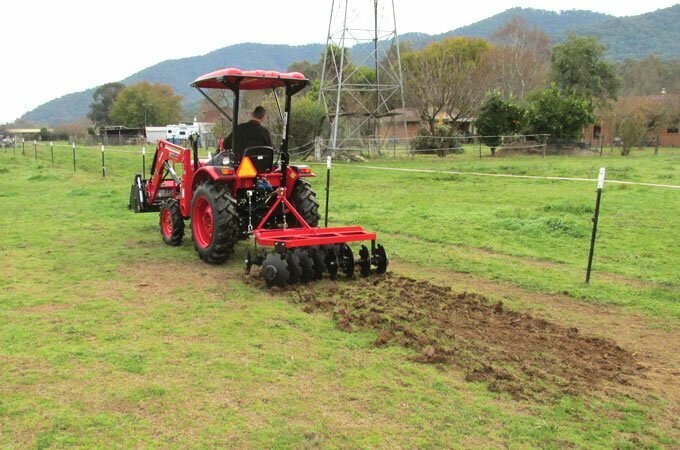 Kubota L1801DT 20hp 4WD with AGMAX DH120 disc harrows. DH120 (left) and DH150 (right). 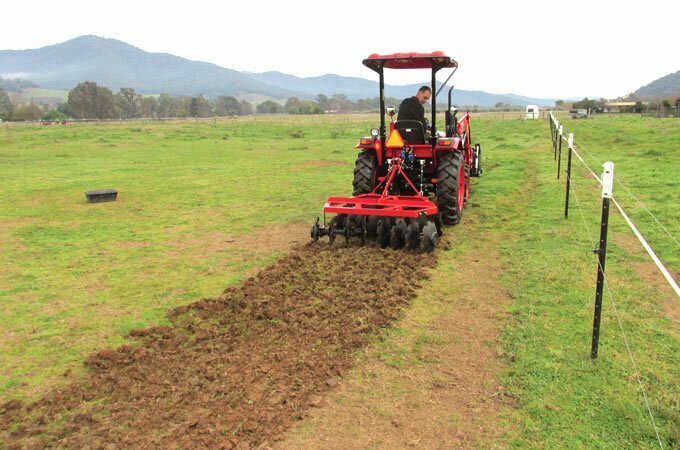 AGMAX disc harrows in action.